Place chocolate chips in a bowl and melt in the microwave. 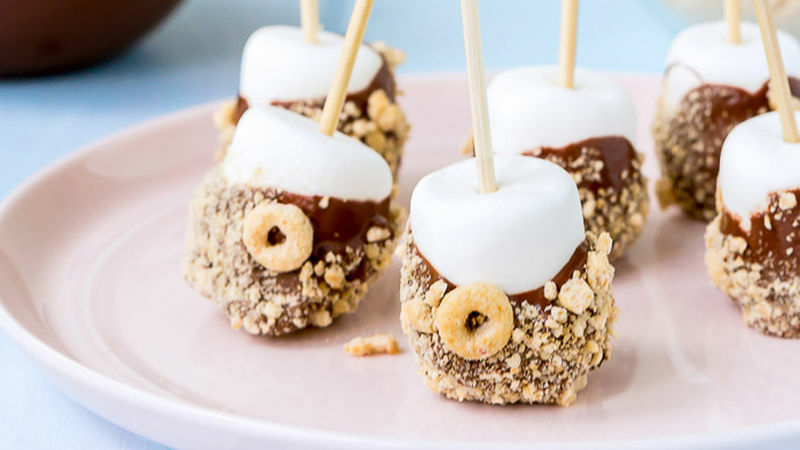 Place each marshmallow on a plastic or wooden skewer. Dip each marshmallow in melted chocolate. Let excess chocolate drip into bowl. Roll each marshmallow in crushed Honey Nut Cheerios™. Place on a plate and refrigerate for 10-15 minutes or until the chocolate hardens.